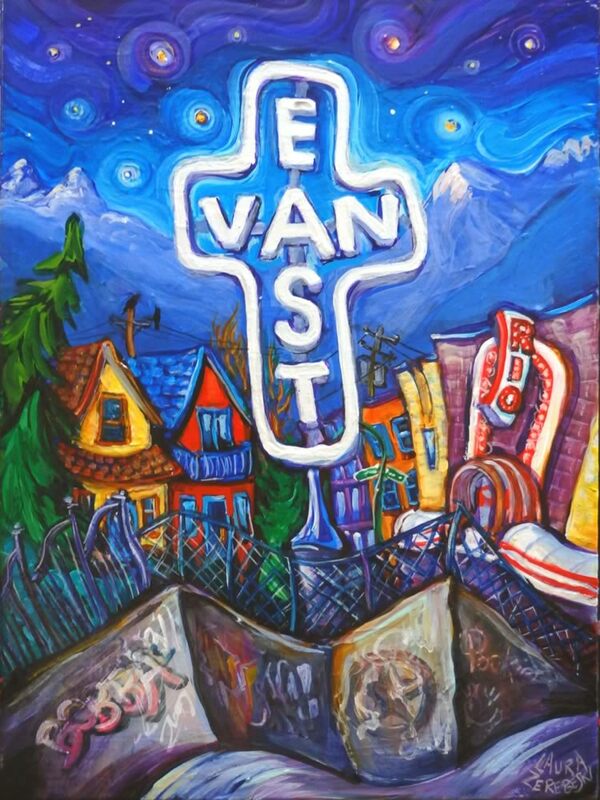 This version of the East Van Cross includes a few notable landmarks, namely the Rio Theatre on Broadway at Commercial Drive. There are also some secret symbols in the graffiti below the cross which hint at a colorful life. There isn’t any other kind in East Van.